EEWC’s 2000 Conference marked our 25th anniversary and also marked the beginning of a millennium. It seems to me that many of the words and hopes voiced in these prayers reflect the intent and experience of an EEWC conference. We come from a diversity of places, of times in our lives, of relationships, of religious traditions. We celebrate our differences even as we work toward unity of purpose and commitment. We do indeed come to the EEWC table to have our eyes opened, to be surprised by grace, to speak to our searching for and finding God in the world and in one another. We come for solace . . .
We come for strength . . .
We come for pardon . . .
We come for renewal . . .
And anyone who has attended an EEWC conference has experienced the joy and wonder of God’s work in the gifted, challenging, loving women present! . . .women who . . .
bring us to laughter and to tears . . .
We meet those who have suffered for risks they have taken — women who have had the “courage to will and to persevere.” We sense that rarely are so many gathered together who without exception have “inquiring and discerning hearts” –women who are seeking, who are honest, whose faces are set toward learning and not toward judging, excluding, or limiting. There is surely a spirit to know and to love God in all that Loving One’s manifestations — and there is a similar spirit to know and love one another in the rich, exuberant variety of who we are! And so we come to Conference 2000 — which will mark EEWC’s 25th anniversary even as it marks the beginning of a millennium. What is it they are to prophesy? As we consider these questions, our companions along the way will be women of insight and passion — peace activist Sister Joan Chittister, young African-American women from Chicago, EEWC foremothers, a Korean theologian and preacher, enthusiastic workshop leaders — and one another. Through all will be woven music, art, dance, prayer, conversation — and laughter! We will come together in celebration and gratitude, finding again solace, strength, pardon, and renewal. We will leave knowing that these days of breaking bread at the EEWC table are a hallowed time and space. And we will see, in joy and wonder, that we are gifted and graced by God and by Her Spirit in each of us. Linda Williams is an editor with a major textbook publisher and is a member of EEWC’s Chicago chapter. She is serving as one of the three coordinators for EEWC’s Conference 2000. The other coordinators are Jeanne Baly and Claire Cruise Warren. © 2000 by Evangelical & Ecumenical Women’s Caucus. Originally published in the Winter (December-February) 2000 issue of EEWC Update, Volume 23, number 4. Jubilation was the feeling that swept through me as my daughter and I pulled into the North Park University campus, and were greeted by the huge “Welcome EEWC” banner! After years of planning and visions of how this conference would be, the time had finally arrived. Here we were, toting our belongings through registration, greeting old friends and new. It was exhilarating to be with women who have done so much and contributed mightily to the history of women in the Christian Church. The music group, VOICES, set the tone for the Conference with their lively, spirited, wide-ranging music from around the world. Toe-tapping, finger-snapping, hand-clapping erupted into a standing ovation and encore that carried us through. The exuberance spilled over into the social time on the patio, where groups of old friends and new laughed and rejoiced in the moment, before settling into dorm rooms. Friday morning offered the opportunity to arise and greet the day with movement and/or meditation before breakfast–though some weary travelers took the opportunity to become reacquainted with sleep! If our spirits hadn’t yet been aroused by the time of the first plenary, our “gathering music,” led by Kathryn Christian and accompanied by Janice Pope, did the job! Before the plenary sessions throughout the conference, the beautiful gathering music, in which Kathryn and Janice were joined by multi-talented musician Anne Ownbey and dancer Lindsey Huddleston always stirred our spirits. A beautiful solo by Helen Claire Ferguson, EEWC’s Midwest Council Representative, focused our hearts and minds to receive words of wisdom and insight from Karin Granberg-Michaelson. Karin’s honest reflection on her life experience always resonates with our own, touching places deep in our hearts. And we come away blessed. Reta Halteman Finger’s biblical acumen took us into the depth of theological study (exegetical hermeneutics and all!) as well as offered us an experiential avenue for using our own insight into what life may have been like for our ancient Biblical sisters. A task not equaled by many seminary professors or theologians! After lunch, it was difficult to choose which workshop to go to, as the usual diversity of topics all offered promise. And the buzz of discussion afterward signaled that much had been received. The Biennial Business Meeting of EEWC members accomplished all it needed to, and included encouragement for each of us to invite new members into the fold. There are folks out there who need this lifeline as we do. After dinner, foremother Virginia Ramey Mollenkott reminded us, with the clear insight we have come to value and trust, that God’s courageous daughters have always prophesied. Women who have been shut out of patriarchal institutions are the very ones who envision and enact the vision, using the tools that ultimately derail exclusion. Saturday morning again offered movement, meditation or sleep, and gathering music focused us. Helen Claire graced us with another moving solo. Benedictine Sister Joan Chittister reminded us that, in the face of all that women of faith have accomplished, there is still so much that needs to be done. Patriarchal theology of individualism is bankrupt. Seeing the world as God sees it is the crown of creation, not man. Karen Thomson’s group of young women from Literature for All of us, “wowed” the conference with their hard-earned wisdom. Their poetry, springing from their innermost beings after difficult, challenging life journeys was outstanding. And their honesty and openness in sharing themselves with us endeared each one. Karen’s willingness to roll up her sleeves and dive into redemptive work, empowering low-income teen mothers through book circles and poetry writing, inspired us all. After lunch, EEWC executive coordinator Nancy Hardesty moderated our speakers’ panel of Karin Granberg-Micahelson, Reta Finger, Virginia Mollenkott, and Sr. Joan Chittister. The panel spoke to promises and problems they see for the coming generations of women. The final word was from the Young Prophets’ panel moderated by EEWC’s Northeast Representative, Helen Bray-Garretson. Members of the panel were Anna Warren, Alena Ruggerio, and young women from Literature for All of Us: Anna Croegaert, Tricia Hersey, Taishiya Nix, and Dereka Ross. Problems discussed ranged from access to child care, to concerns relating to education and jobs, to group identity. Promises were seen in educational opportunities, passion, and motivation to make life better for all. This discussion continued for the young women and those who joined them in the Young Women’s Caucus, offered as one of the afternoon workshops on a wide variety of topics. The Saturday dinner break was followed by the 25th Anniversary Celebration, emceed by longtime members and avid EEWC supporters, Susan Garrison (a past Coordinator) and marriage partner Michael Campbell. The levity began as Jeanne Baly, Conference Coordinator, presented Michael with a skirt, bestowing upon him “honorary woman” status for the evening! (Michael, by the way, is VERY FUNNY!) Nancy Hardesty, Letha Dawson Scanzoni, and Alena Ruggerio presented an “interview,” humorously reviewing how Letha and Nancy wrote All We’re Meant to Be and how EEWC came into being. Jan Clark and Janice Pope, with Janice at the piano, sang a beautiful duet. Presentations of appreciation were made to foremother Letha Dawson Scanzoni, EEWC Update editor, and to Jeanne Baly and Judith Jahnke, two of the Coordinators for the conference. Anne Ownbey, musician/comedian kept us in stitches with her hilarious antics and songs, including past conference favorites “Here Comes Flo,” and “Eileen, the Bent-over Woman” (danced by Lindsey Huddleston). Anne Eggebroten took a turn at stand-up comedy with a tongue-in-cheek review of part of EEWC’s history. And I surprised the women in ministry by leading us in the “Clergywoman Can-Can.” Anne Ramirez reviewed the movie “Dogma.” And anniversary cake and refreshments were enjoyed by all. Sunday morning worship was a celebration of song, dance, prayer, and Eucharist that engaged all the senses with incense, streamers, candles, and wind-chimes (the voice of the Spirit!). Soloist Patty Mangis raised her powerful voice in song. The Reverend Young Ok Park moved us all as she shared her life journey to wholeness in Christ Jesus, our laughing Redeemer. I fulfilled a long-held dream of being Liturgist and Presider at Eucharist, leading the gathering as together we consecrated the bread and wine for our feast. Amidst dance and song, we closed our worship and conference with our traditional water blessing, naming each other and sending each other out in the name of Christ! The temptation to linger over lunch was tempered by travel arrangements, and all too quickly we found ourselves on our way back to our daily realities. 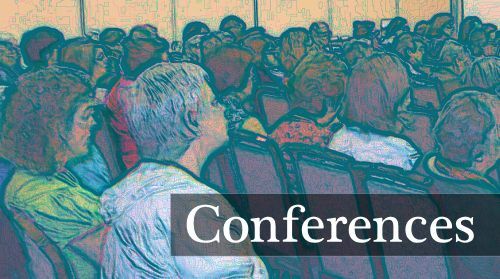 The EEWC 2000 Biennial Conference is now another grand jewel in the history of Evangelical and Ecumenical Women and Men, gathering together in the name of Christ to demonstrate our equality in the eyes of God! Until 2002, when we meet again, this time in Indiana. Blessed BE! © 2000 by Evangelical & Ecumenical Women’s Caucus. Originally published in the Summer (July-September) 2000 issue of EEWC Update, Volume 24, number 2. Information-gathering was a valuable part of the conference, as was sharing in small groups, in conversations. Women talked of the relief of being with other women who are serving and trying to deliberately follow Jesus Christ.